Check out gameplay from the final story DLC for Fallout 4. If you missed Bethesda Softworks’ live-stream of Fallout 4: Nuka-World, the final story DLC for the open world RPG shooter, then fear not. An edited version has been released with lead artist Mark Teare offering his thoughts on the content. Check it out below. 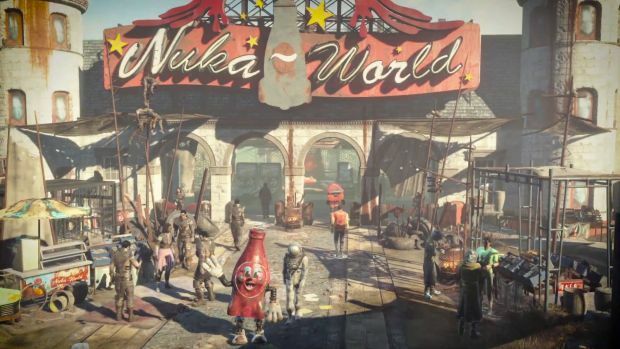 Nuka-World will offer a brand new location, an abandoned amusement park with new story missions and whatnot, along with new workshop items, new side quests, new weapons and even new gear to acquire. There will also be a few sideshow games and a roller-coaster. If you’re in the market to hire and lead some Raiders to wage war against various settlements, then you can do that as well (what repercussions this will have on your standing with other factions remains to be seen). Fallout 4’s Nuka-World DLC is out on September 30th for Xbox One, PS4 and PC. It’s currently available to select few players for beta testing. What are your thoughts on the content it’s bringing to the base game? Let us know in the comments below.